Who consumes jam on a daily basis? I like to spread my toasts with peanut butter and jam and sometime I like to top my overnight oats with jam. It adds the extra sweetness to my morning. A lot of store bought jams are loaded with sugar. If you were to read the ingredients list, sugar is usually listed as the 1st ingredient and it’s definitely not the best option. So why not make your own healthy jam instead? It is extremely simple with only 3 ingredients – fruits, chia seeds and sweetener of your choice. These jams have no refined sugar, no artificial ingredients and it’s 100% natural. 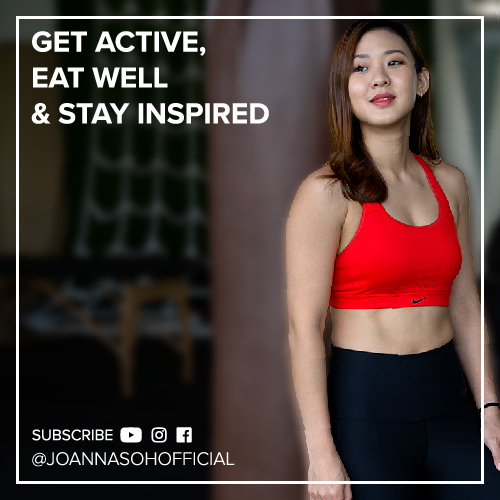 If you have been following my videos, you’ll know that I LOVE chia seeds and I’ll have them in my water on a daily basis. 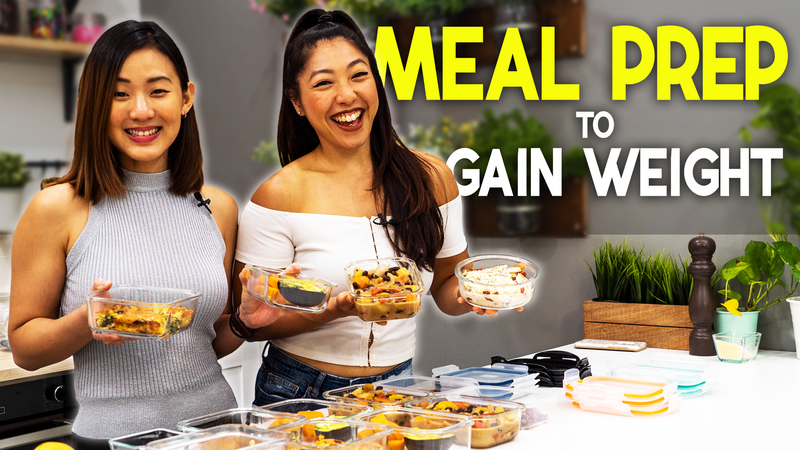 Do check out the Chia Water video right here. Chia seeds are loaded with essential nutrients like potassium, magnesium, calcium, and omega-3s. They help you feel fuller longer and also curb appetite. Now because chia seeds would absorb up to 10 times their weight in water, they are also great as a naturally thickener or gelling agent. So, you won’t even need pectin to make these jams. 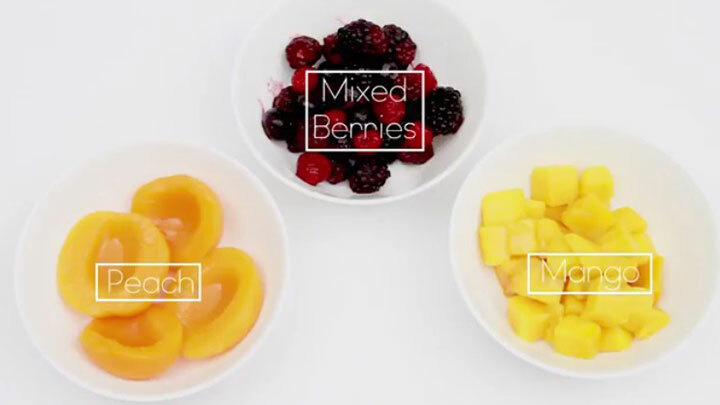 I’m going to share with you 3 of my favourite jam – Mixed Berries, Mango & Peach. Measure the fruits into 2 cups each. You can choose to use either fresh or frozen fruits. Place in fruits in a small pot over medium high heat. You can choose to sweeten with 2 tbsps. of honey or maple syrup. This is optional. Then mash the fruits until it reaches the consistency you like. I like to have some fruit chunks in my jam. Bring the mixture to a simmer for about 5 minutes until it forms a saucy consistency. Stir frequently. Then add in 2 tbsps. of Chia Seeds and continue to stir for another minute until all ingredients are well combined. Remove from heat. Let it sit so the chia seeds can fully expand and thicken the jam. This should take about 10 minutes until it’s set. The jam will continue to thicken as it cools. At the point, if you like your jam to be thicken, you can add another teaspoon or 2 of chia seeds and let it sit for another 10 minutes. Pour into a jar and it’s ready! Store in the fridge and this will keep fresh up to 2 weeks. 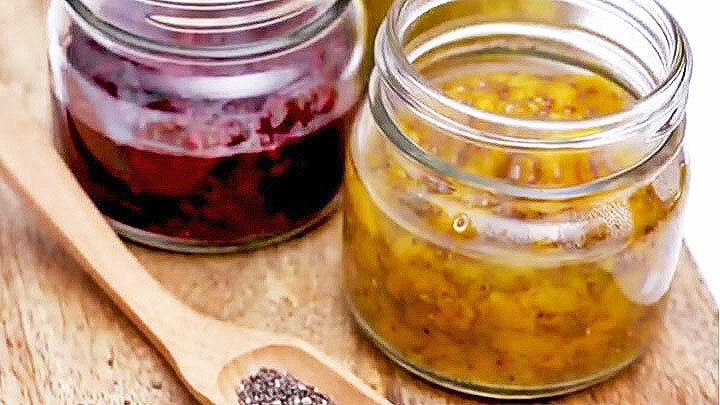 These chia jams are looser and more sauce-like compared to the traditional store-bought jam. 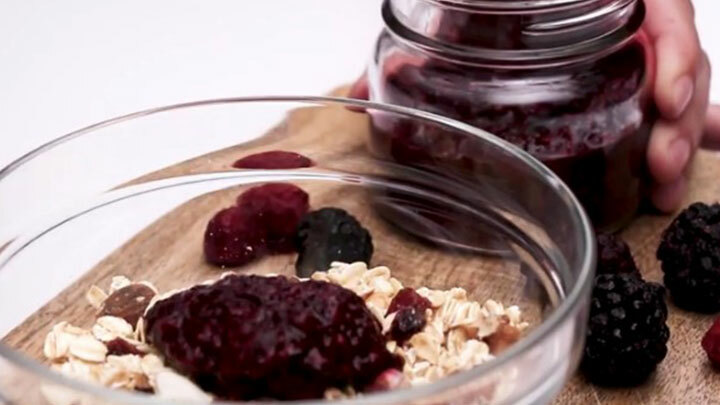 You can use it just like your typical jam – spread it on toast, stir into oatmeal or spoon it over yoghurt. How do you like to have your jam? Let me know in the comments below. So pick a fruit of your choice and try this recipe out.